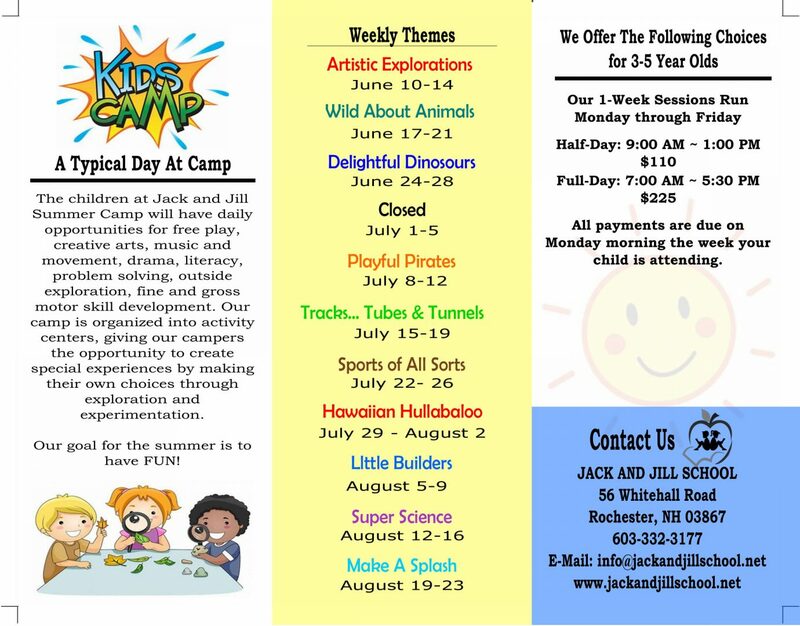 This 10 week licensed camp is specifically designed for 3 to 6 year olds. Each week we will introduce the children to a different theme that is packedfull of fun activities! 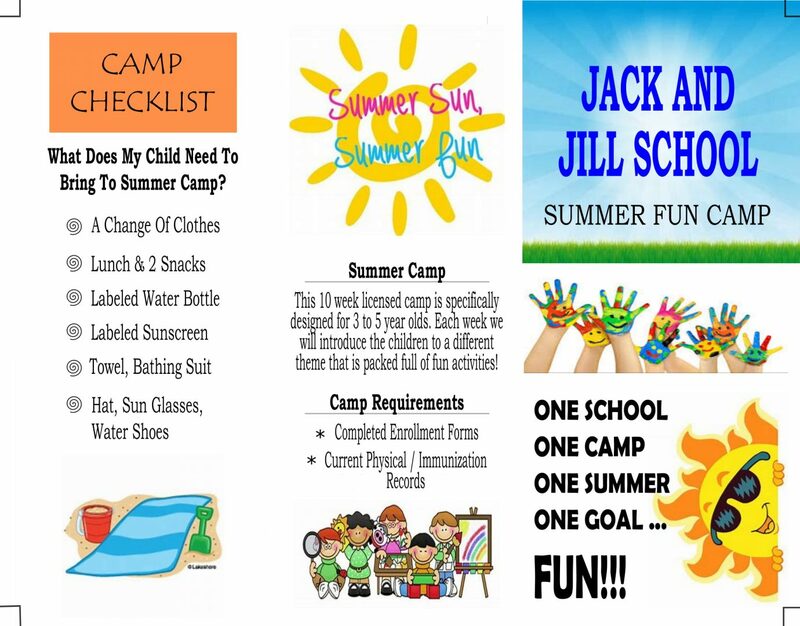 The children at Jack and Jill Summer Camp will have daily opportunities for free play, creative arts, music and movement, drama, literacy, problem solving, outside exploration, fine and gross motor skill development. Our camp is organized into activity centers, giving our campers the opportunity to create special experiences by making their own choices through exploration and experimentation. All Payments are due on Monday Morning the week your child is attending.